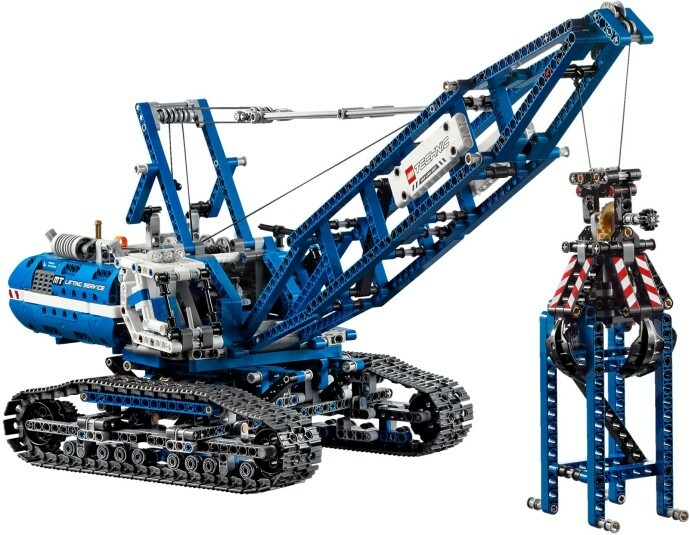 We are now broadcasting the LEGO Technic 42042 (Crawler Crane) Live Build Event on Google+ Hangouts On Air! Please avoid entering your questions by any other means like: TBs Facebook page, TBs YouTube page, comments into TBs posts or direct e-mail. As you might understand I'll hardly be able to spread my attention across these sources, while building this set with you. Today (2015.Jul.02, Tue) at 23:00 CEST*, we'll be streaming the LEGO 42042 (Crawler Crane) Live Build Event on Google+ Hangouts On Air! We have enabled the Q&A application on Google+ Hangouts on Air, so you can already leave your questions about this set at the event page, or during the Live Build Event if you prefer. With this feature you can later jump directly into the video part when we will be answering your specific questions. Please avoid entering your questions by any other available channels like: TBs Facebook page, TBs YouTube channel, comments into TBs posts or direct e-mail. As you might understand I'll very difficult to spread my attention across all these sources, while building this set with you.